CHARLOTTE, N.C. – The No. 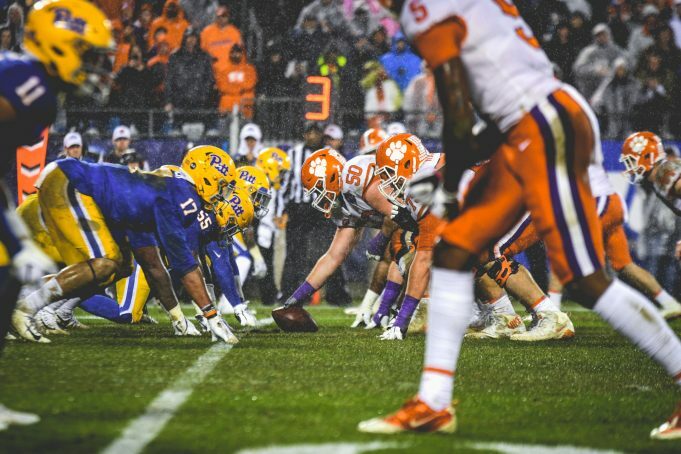 2/2 Clemson Tigers became the first football team in ACC history to win four consecutive conference titles outright on a rainy Saturday night at Bank of America Stadium, defeating the Coastal champion Pittsburgh Panthers by a score of 42-10. With the win, Clemson remained undefeated at 13-0 overall, while Pitt moved to 7-6 on the year. Trevor Lawrence completed 12 of 24 pass attempts for 118 yards with a pair of touchdown tosses to Tee Higgins, who finished the game with 36 yards and those two scores on three receptions. Travis Etienne added 156 yards with two touchdowns on 12 carries, and Adam Choice and Lyn-J Dixon each ran for a score as well. On the defensive side of the ball, Clemson held the Pitt offense to negative yardage for the first nine minutes of the game and also limited the Panthers to just eight passing yards for the whole game. 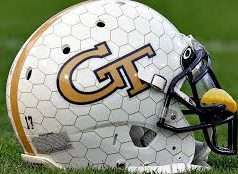 Tre Lamar topped the stat sheet with nine total tackles, and Dexter Lawrence and Isaiah Simmons each contributed two and a half of the Tigers’ nine total tackles for loss. Clemson found the endzone on the night’s first play from scrimmage, as Etienne exploded for a 75-yard scoring run that gave the Tigers a 7-0 lead just 13 seconds into the matchup, good for the fastest score in ACC Championship history. The Tigers doubled that lead five minutes later, as Etienne barreled three yards for a touchdown after Simmons forced a Pitt fumble that Christian Wilkins recovered and returned 18 yards to set up the score. The Panthers got on the board with just under two minutes remaining in the first quarter on a 37-yard Alex Kessman field goal, leaving the score at 14-3 after the fist 15 minutes of play. Pitt scored the second quarter’s first touchdown with seven minutes gone in it, with Qadree Ollison cutting the Clemson lead to just four points on a one-yard scoring rush. But a five-yard scoring pass from Lawrence to Higgins put the Tigers’ advantage back at 10 points with five minutes left in the half. An A.J. Terrell interception returned 31 yards to the Pitt 10-yard line then set up Higgins’ second touchdown reception of the night, and it came on the next play to give the Tigers a 28-10 lead that they took into halftime. The scoreboard still read 28-10 after the third quarter, but that changed on the second play of the fourth quarter with a Choice one-yard scoring rush set up by a Justyn Ross 38-yard reception two snaps earlier. The final score of the game came in the form of a Dixon four-yard rush with just over three minutes remaining in the matchup, bringing the final score to 42-10. 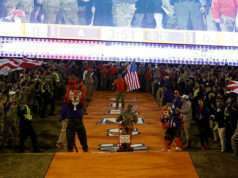 Clemson now awaits its bowl destination. The College Football Playoff teams will be announced tomorrow at noon on ESPN, and the remaining teams participating in New Year’s Six games will be announced later in the afternoon.